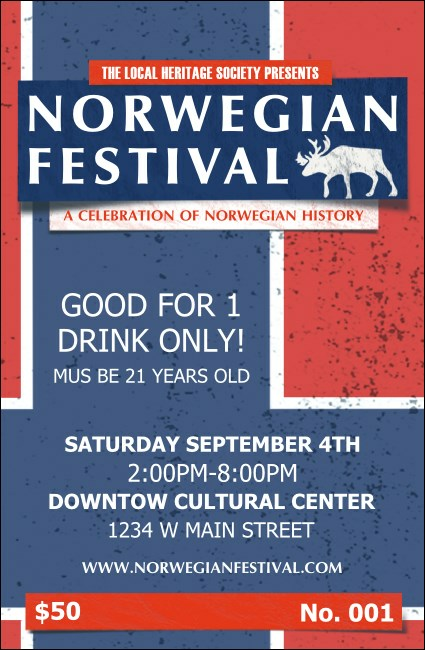 Offer mead, Akevitt or Glogg at your Nordic celebration and organize the crowds with the Norwegian Drink Ticket. An elk stands atop the blue background on this template, with red and white details throughout. Raise your glass and say "Skål" with this festive ticket.